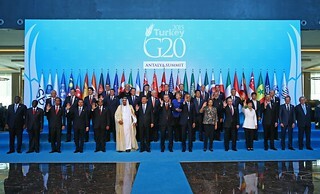 16/11/2015, Antalya - G20 Leaders endorsed the new global standard on corporate governance that will help policy makers to evaluate and improve their national corporate governance frameworks with a view to promote market-based financing and to boost long-term investment. The G20/OECD Principles of Corporate Governance represent a shared understanding with respect to corporate governance standards and practices in areas such as transparency, disclosure, accountability, board oversight, shareholder rights and the role of key stakeholders. They also provide recommendations for national policymakers on executive remuneration, the behaviour of institutional investors and how stock markets should function. Developed by the OECD in 1999, the Principles are the international corporate governance benchmark for policy makers, investors, corporations and other stakeholders worldwide. They have also been adopted as one of the Financial Stability Board’s (FSB) key standards for sound financial systems. In 2013 the OECD launched an ambitious and inclusive review of the Principles, with all G20 countries invited to participate on an equal footing. The review benefitted from extensive public consultations and the participation of key international institutions - notably the Basel Committee, the FSB and the World Bank, leading to the G20 agreement in Antalya. Information on the OECD's work on corporate governance can be found at: http://www.oecd.org/daf/ca.